New Carrollton's fledgling speed camera program is now in full swing and we have been getting many reports of tickets issued from there. The Gazette reported that in its first month New Carrollton issued 7,653 citations issued for a camera posted at the intersection of Good Luck Road and Cathedral Avenue, and 6,608 at the intersection of Riverdale Road and Lamont Drive. That total (14,261 citations) is more than the number of residents in New Carrollton. Assuming all citations were paid this works out to about $342,000 of net revenue for the City and about $228,000 of income for the contractor, Optotraffic. Strangely enough the number of Citations issued in November is vastly more than the mere 150 warnings which the city previously stated they had given out during the legally required 30 day warning period in October. This indicates that New Carrollton may not have made a serious effort to issue warnings to drivers during the warning period. New Carrollton has been using mobile units, apparently trailer based, which can function both as speed and red light cameras (See Company's description). We have received multiple reports from ticket recipients who were given less than a week to either pay or challenge a citation from New Carrollton after the date it was received, in one case they even reportedly were unable to pay because the payment website was down. It is unclear whether New Carrollton will follow the policy of tacking on late charges immediately after the due date. We have also received multiple reports from drivers who received citations more than 2 weeks after the date of the alleged violation. The Maryland law governing speed cameras specifies that citations issued to Maryland residents must be mailed within 2 weeks, or 30 days for out of state drivers. We strongly recommend you NOT pay any citations mailed outside of this due date. It is unreasonable to expect a defendant to be able to gather evidence in their defense weeks after an alleged violation has ocurred, especially signs may have been added or changed in that location in the interim. You should insist that these citations be dismissed without your having to go to court. Remember that the burden of proof is on the government: If you receive a citation 18 days later the fact that they deliberately did not include a postmark does not excuse the city's failure to comply with state law! New Carrolton's program is particularly disturbing given their history of violating state and federal guidelines with their red light camera program resulting in large numbers of citations being mailed to drivers who came to a complete stop at intersections. 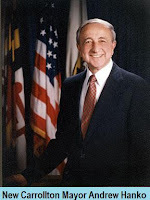 If you are challenging a citation you should contact Police in New Carrollton (or the appropriate jurisdiction) to request information pertaining to the defense of your case, but speed cameras are a political issue and police do not set public policy so you should not send them letters regarding public policy. You should never consider it acceptable for an elected official to have a police officer respond on their behalf (as the County Executive in Montgomery County frequently did for that county's program[ref]). If you wish to contact the contractor, Optotraffic, they are a division of Sigma Space Corporation is headquartered at 4801 Forbes Boulevard, Lanham, Maryland, 20706; ph# 301-552-6300. Other towns in Prince George's County are about to follow suit: Bowie, Berwyn Heights, Capitol Heights, Riverdale Park, District Heights, Cheverly, and Brentwood are among the towns which are in the process of adding cameras. Most of the planned locations are in school zones which were recently created specifically for the purpose of adding cameras, in some cases on major state highways which only barely come within 1/2 mile of the grounds of a school. And the county government has asked the County Revenue Authority to select approximately 50 camera locations. That is just for starters. 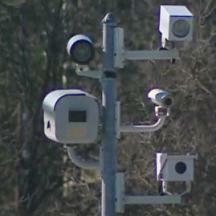 Within a few years Prince George's County may have more ticket cameras per capita than any other part of the country. It is now up to the people of Prince George's County whether they will allow themselves to be surrounded by so many cameras that even diligent drivers end up paying a monthly bill to every small town which sets their own standards without oversight, or whether The People are going to be patriots and fight back. Every time someone 'just pays the fine', they are saying 'I won't speak up, please add more cameras and send me more tickets'. Every time someone fails to challenge a citation, they say 'I'm willing to surrender my constitutional rights to face my accuser and to be presumed innocent'.